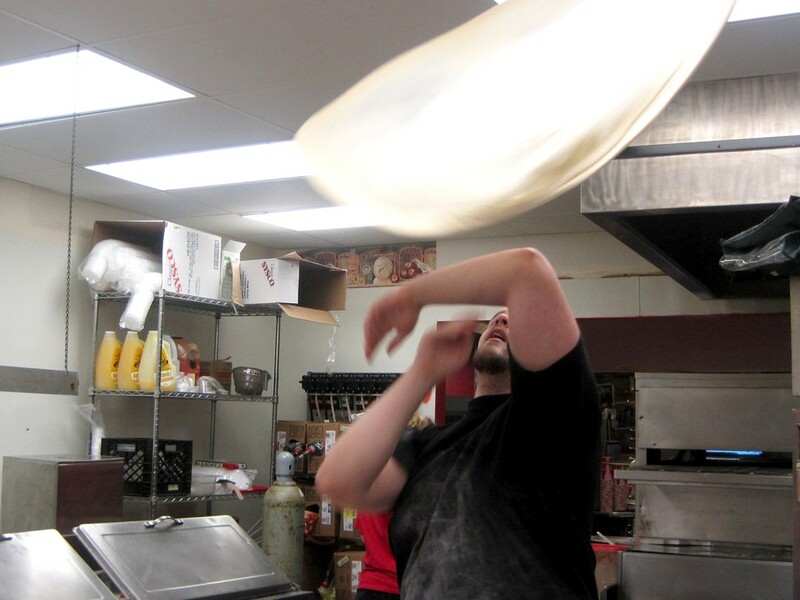 A photo from Pizza Oven\'s Facebook page. Matt Rai’s path to a mini restaurant empire may be a bit serendipitous, but his newest venture in the Gonzaga district’s newly installed neo-strip mall is pure, calculated genius. Located a stone’s throw from the campus, Pizza Oven has everything going for it: location, location, booze, pizza, entertainment and location. “As soon as I heard David’s had closed I got on the phone and called everyone to find out what was happening to the spot. When I heard they weren’t reopening, I knew I had to be [in the Gonzaga neighborhood],” he says. Rai’s actions are that of a seasoned entrepreneur, but rewind four years and you’d find a troubled WSU student looking for his niche. “I was actually up in Spokane to talk to a recruiter for the Air Force, and happened to run into the owner of Taco Del Mar,” recalls Rai. After learning the owner was looking to unload his franchise in the River Park Square food court, Rai jokingly made him an offer— which the fellow accepted. His new ownership went so swimmingly that in 2011 he decided to occupy the space that formerly housed Pizza Rita in the same food court, thus opening the original Pizza Oven location. His success isn’t surprising if you’ve tasted his pizza. Over at the new Gonzaga district location, we ordered the Build-Your-Own ($12.99 1 topping, $1.50 for each additional topping), which seemed a bit pricey initially, until we saw the size of our pie. The beast occupied what seemed like half the table, was served hot and glistening in no time flat. The chewy, foldable slices were covered in a perfect amount of pungent garlicky sauce, and smothered with loads of melted cheese that stretched and twirled around the spatula. Wash it down with one of their beers on tap, or try one of the latest liquor concoctions Rai likes to keep on rotation. Until they get their liquor license next month, the special drinks, like the hilariously un-PC “Jesus Juice” will feature Merlot as the alcohol of choice.